On an Israel ScaVenture, with maps and mission packs in hand, you will navigate your way through streets, alleys and markets, engaging with the story of Israel and its people. 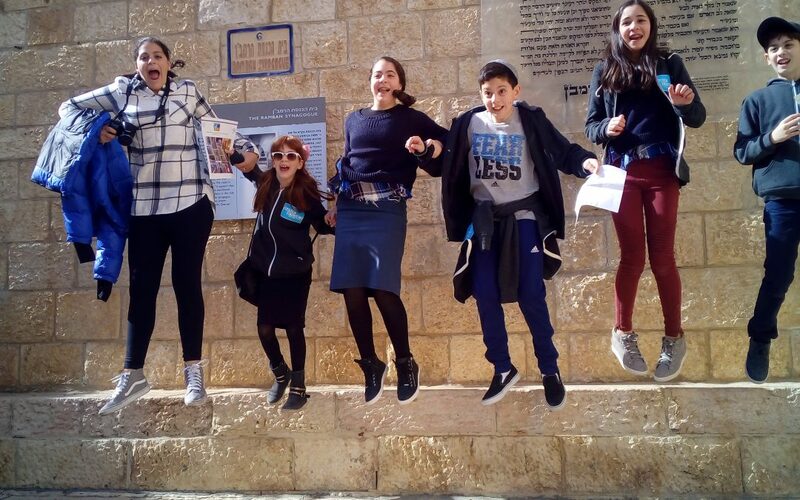 Our Israel ScaVentures take the form of Scavenger Hunts or Dashes – they are great for groups of all sizes, with varying background and knowledge. We like to think of our games as a cross between a scavenger hunt and adventure of discovery – that’s why we call them ScaVentures! 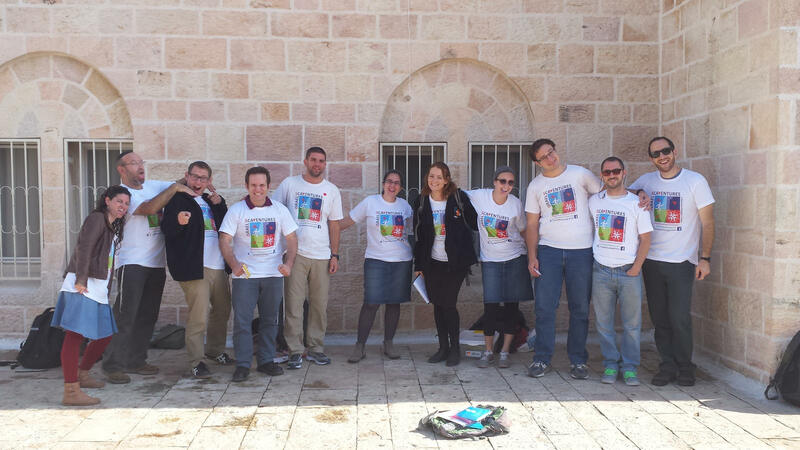 Meet Some of Our Madrichim! 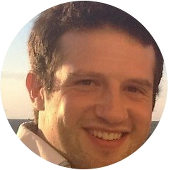 Jerusalem Post: “There’s something about Israel that encourages you to reinvent yourself. There don’t seem to be rules of how to live, and I love that I can be creative with my life.” Click here to read more about our Founder and Director Tali Kaplinski Tarlow. 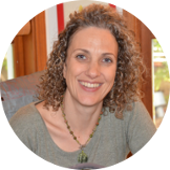 Jewish Portal of Teacher Education interviewed Tali on Successful Tour Gaming from an Educator’s Perspective – click here. We hope you had great time on the ScaVentures(TM) Train Game! 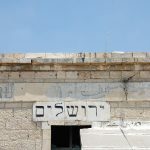 Jerusalem is vibrant and things change all the time – please tell us if you see any changes that we need to be aware of! Disclaimer: Israel ScaVentures bears no responsibility for answers that can no longer be found. Did you enjoy the ScaVentures (TM) Train Game? Join us on many more ScaVentures – for more information be in touch! 1. Ques: I boarded the train going to Jerusalem. In it there was a Jewish man from the Old Yishuv in traditional dress, next to him was an Arab. The window was wide open and the view was spectacular.” Find this quote: what is it all about? If you get it, your team is FIRST CLASS! 1. 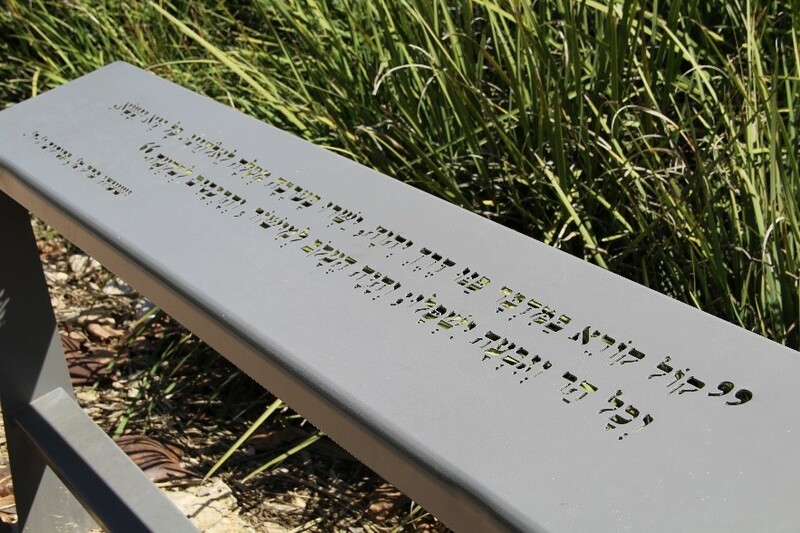 Ans: Found on a sign along the Tracks Trail, this describes a cross culture encounter where a Jew and an Arab sit happily together enjoying the train ride and the wonderful day. 2. Ques: The new train really FIRED UP THE ENGINE of Jerusalem’s industry. Who waited outside the train station for tourists and pilgrims? 2. Ans: Found on a sign along the Tracks Trail, near the parking lot, carriage drivers would wait outside the train station for tourists and pilgrims, eager to take them to their destination. 3. Ques: You’re on the right TRACK! Take a team selfie by a semaphore. And what is a semaphore anyway? 3. Ans: A semaphore is a mechanical signaling system based on movable arms that signal information to train drivers. The old semaphore is at the entrance to the Tracks Trail by the parking lot. 4. Ques: Riots and bloodshed in pre-state Israel in the 1930’s: a train on the Jerusalem line is ambushed and overturned! Find a picture of the train and take an “investigative” team selfie. We won’t BLOW THE WHISTLE on you! 4. Ans: Found on a sign on the Tracks Trail is a picture of the overturned locomotive. 5. Ques: Where is this? Get it in a team selfie. You’ve taken this game to the NEXT PLATFORM! 5. Ans: Found on one of the quotation signs along the Tracks Trail. 6. Ques: ALL ABOARD! 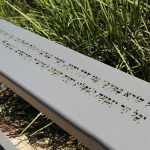 How was the first official “Hebrew” train decorated? 6. Ans: Found on a sign on the Tracks Trail. 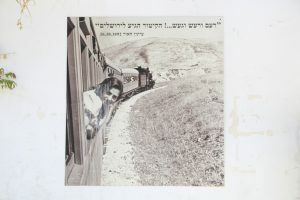 The first Hebrew train was decorated with Israeli flags. A picture of this can be seen on page 90 of ScaVentures Jerusalem. 7. Ques: Where is this? Get it in a team selfie. SIGNAL that there is no team like your team! 7. 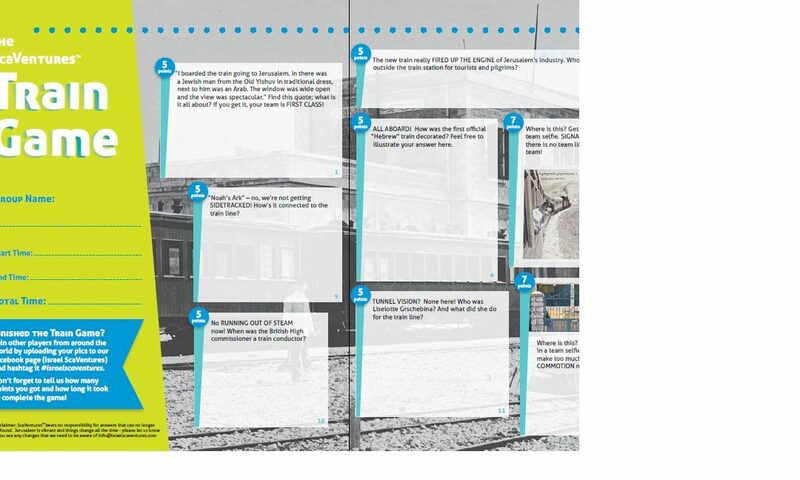 Ans: Found at the end of the route of the Train Game, on the Tracks Trail at the junction of Pierre Koneig Street. 8. Ques: CONDUCT YOURSELVES with pride when you discover who were the two famous travelers on the train it its early years! 8: Ans: Found on a sign in the First Station area, Theodore Herzl and Kaiser Wilhem II were famous travelers on the train line. 9. Ques: “Noah’s Ark” – No, we’re not getting SIDETRACKED! How is it connected to the train line? 9. Ans: Found on a sign along the Tracks Trail, it was a movable British Defense position at the end of the train. 10. Ques: No RUNNING OUT OF STEAM now! When was the British High Commissioner a train conductor? 10. Ans: Found on a sign in the First Station area, the British High Commissioner was the conductor on the first train that entered the Jerusalem Train Station under British Mandate Rule. 11. Ques: TUNNEL VISION? None here! 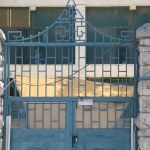 Who was Lisolette Grschebina? And what did she do for the train line? 11. 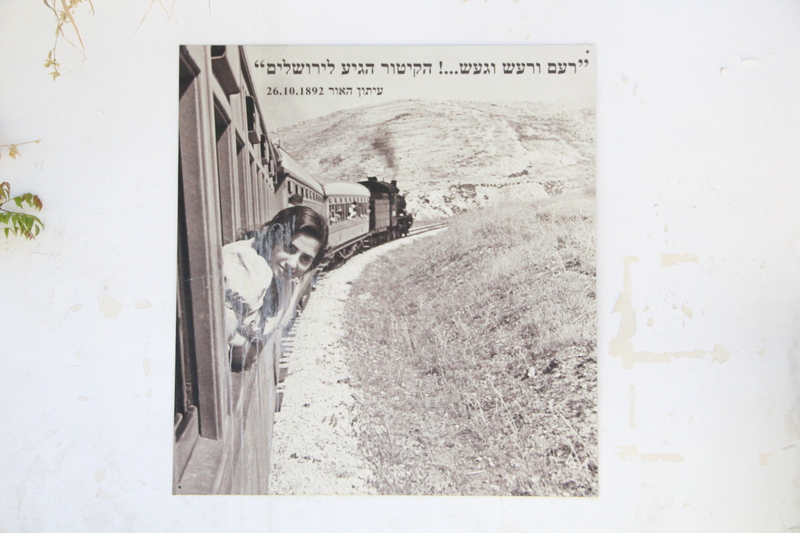 Ans: Found on a sign along the Tracks Trail, she was a German Jewish photographer who was forced to leave Germany. She made an exhibition on the train in the 1940s. 12. Ques: Where is this? Get it in a team selfie. Don’t make too much of a COMMOTION now! 12: Ans: This gate can be found along the Tracks Trail. 13: Ques: Where is this? Get it in a team selfie. THAT”S THE TICKET! 13. Ans: The Train Clock, made from recycled metal from the train tracks is mounted on the main building above the main entrance to the train station. 14. Ques: Where is this? Get it in a team selfie. EXPRESS your team awesomeness! 14. 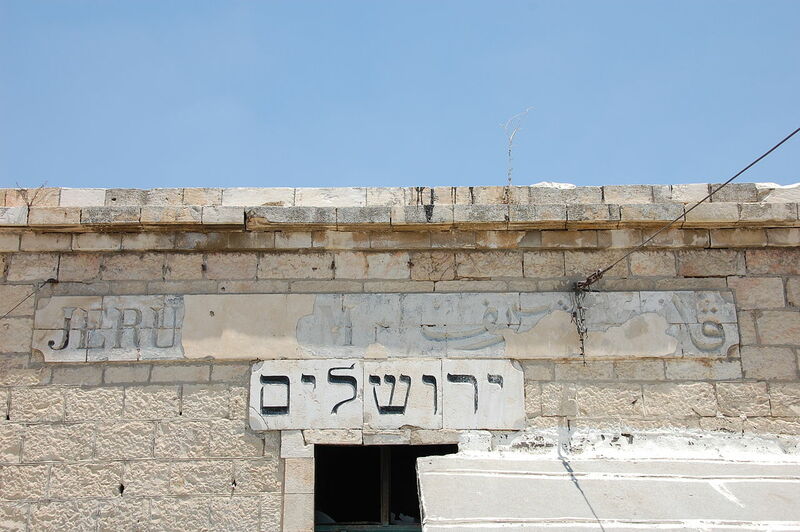 Ans: The words Jerusalem in Hebrew, English and Arabic are on a plaque on the top of the train station. Along the side of the station there are stairs that will take you there. 15. Ques: Today you CHOO- CHOO- CHOOSE to be winners! What company was established right next to the train station? 15. 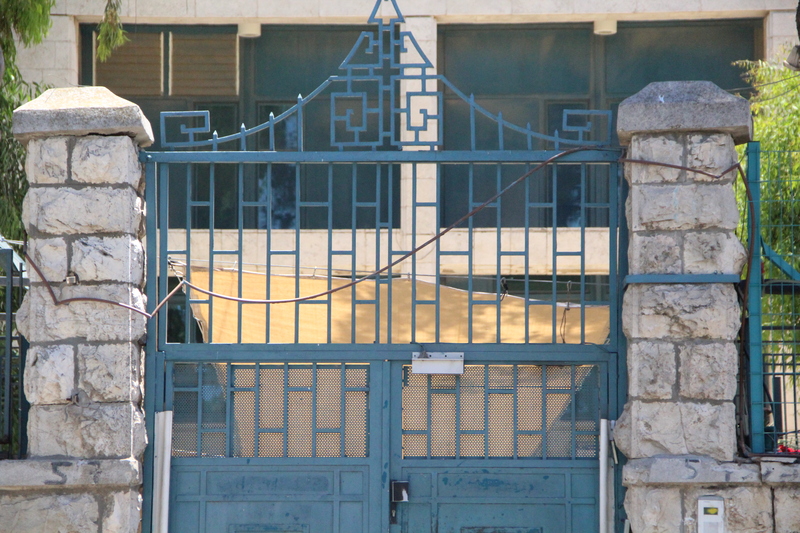 Ans: Along the Tracks Trail, near the parking is the first power station in Jerusalem. 16. Ques: END OF THE LINE BONUS QUESTION: While we’re on this TRAIN OF THOUGHT, find carriage #322. On it is a small steel plate that has the ID number, year of manufacture, and the letters “PR”. What does PR stand for? What info can you learn from this plaque? You can Google it, ask someone or do anything creative and legal to find an answer. 16. Ans: Carriage ID: 94, year of manufacture: 1922, PR: Palestine Railways. Winter time at Israel ScaVentures means fun and games for all the family! This year you can participate on one of our highly acclaimed Jerusalem Scavenger Hunt routes, or you can venture beyond Jerusalem to enjoy one of our other amazing Israel ScaVentures! Over Thanksgiving, Chanukah, December and Yeshiva vacations 2017/8 we will be ScaVenturing nonstop- so bring your family and friends and join in the fun! *Rainy Day Scavenger Hunt – to be scheduled according to the weather! Group Scavenger Hunts – Can be booked ALL YEAR ROUND on any of our routes at your convenience (book early to avoid disappointment). These are usually ideal for 10 or more participants. 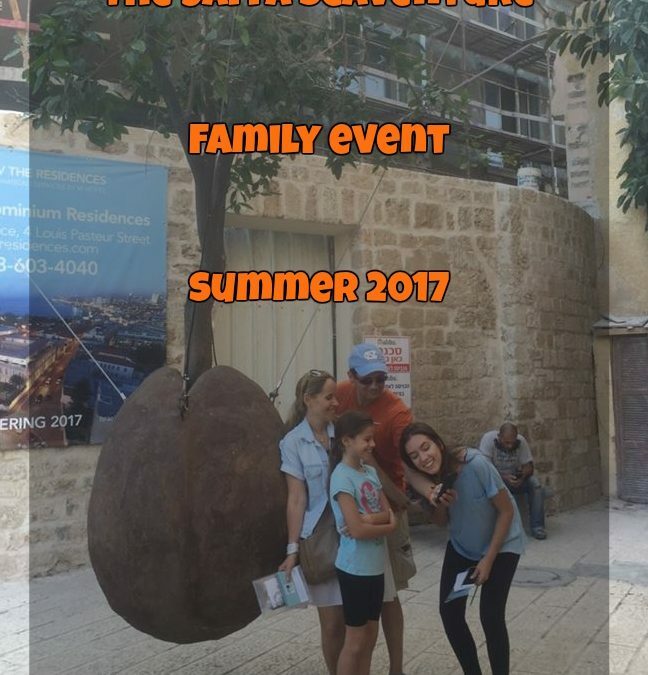 If you’re celebrating a Bar or Bat Mitzvah in Israel, be in touch to hear about our Bar/Bat Mitzvah programs and BM ScaVentures! For more info and to make a booking for winter scaventures be in touch via our website! 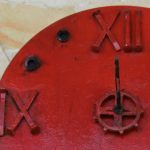 Navigate the route before time runs out – at the same time learn the story of Jaffa, its people, places and events. This will be an unforgettable family experience! Cost: 50 shekels per person age 5 and up. How do I sign up: Advance registration only, contact us for more info and to sign up! 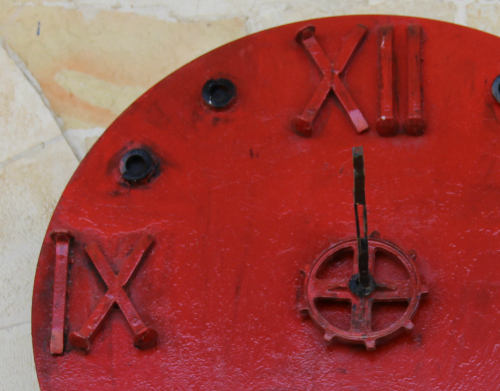 THIS YEAR THERE ARE LIMITED SPACES ONLY – SIGN UP NOW TO AVOID DISAPPOINTMENT! Jamie Geller joined us on the Tzfat Scavenger Hunt and facebooked live. 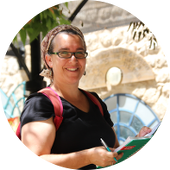 Read her blog and watch her live on the Tzfat Scavenger Hunt.